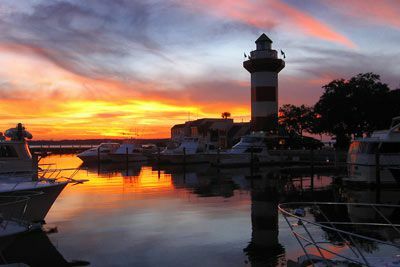 Hilton Head Island is a foot-shaped barrier island located off the Atlantic Coast of South Carolina, approximately 45 miles north of Savannah, GA; 90 miles south of Charleston, SC; and 30 miles south of historic Beaufort, SC. The 12-mile long and 5-mile wide island was the first Eco-Planned destination in the U.S. Considered to be one of the finest resort communities in the United States, Hilton Head welcomes millions of visitors from around the globe each year. 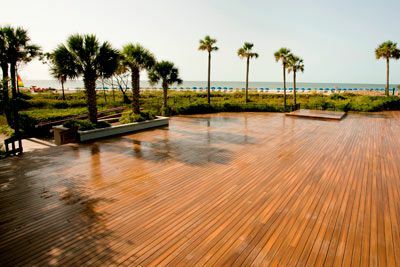 It offers a range of options for the active visitor with white sand beaches, dozens of championship golf courses, more than 300 tennis courts, and countless bicycle paths. 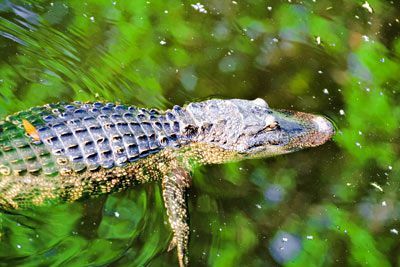 Whether you enjoy relaxing on the beach, playing a round of golf, or exploring the area’s lush maritime forests, you’ll discover that Hilton Head Island is a true resort mecca, providing family-friendly fun. 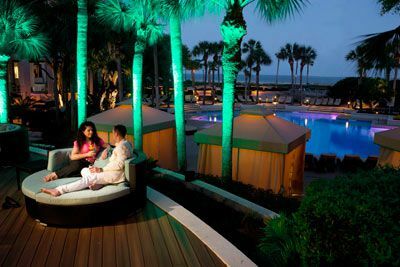 Dining: Over 250 restaurants reside on Hilton Head Island, ranging from fast-food and gourmet to venues that include all types of ethnic cuisine. For those with a milder palate, the Island also offers great all-American and southern-style fare as well as famous local seafood. 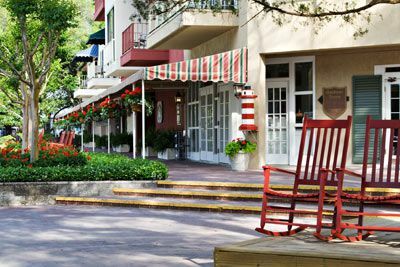 Shopping: More than 200 shops are located on Hilton Head Island, from elegant boutiques and art galleries to an indoor mall with major department stores and specialty shops. The island also has three outlet malls featuring designer brands at a significant savings. Other activities include: Diving, sailing, canoeing, kayaking, bicycle riding, horseback riding, parasailing, motorboating, hiking, waterskiing, jetskiing, windsurfing, surfing, and fishing. Rediscover Southern luxury at this completely renovated premier oceanfront resort ideally located on a pristine stretch of sugar-white sand along the Atlantic Ocean. Challenge yourself at one of the three Port Royal championship golf courses, play an invigorating match on the award-winning tennis courts, take a bicycle ride along the beaches of the Atlantic, relax by one of the pools, or revitalize your spirit at the most relaxing spa in Hilton Head, The Heavenly Spa by Westin™. Little ones can have fun and make new friends at the Westin Kids Club®. And when it comes time to revitalize your body, experience some of the finest dining in Hilton Head with fresh seafood and magnificent ocean views at Oceans, a spectacular buffet meal at Carolina Café, or an energizing cup of Starbucks at Aromas Coffee Shop. 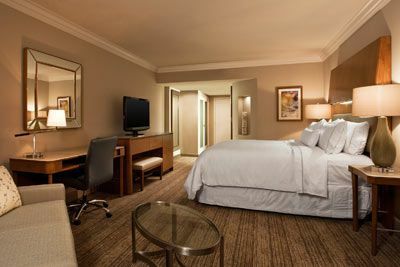 Each guestroom features one king or 2 queen Heavenly Beds® (based on availability), iHome, mini-fridge, and Westin’s WakeCup with Starbuck’s coffee and teas, and private balcony. Bathrooms feature Westin Heavenly® Shower with luxurious Rain Forest showerhead, dual-vanities, hair-dryer, make-up/shaving mirror and plush towels. Certified Registered Nurse Anesthetists: This program has been prior approved by the AANA for 20 Class A CEC; AANA Code #1037093; Expiration Date 9/22/2019. Registered Nurses: NWAS is an approved provider for the following state nursing boards: Arkansas State Board of Nursing (Provider Number 50-7480), California Board of Registered Nursing (Provider Number 4833), District of Columbia Board of Nursing (Provider Number 50-7480), Florida Board of Nursing (Provider Number 50-7480), and the Georgia Board of Nursing (Provider Number 50-7480). This program offers 20 contact hours. $100 July 20, 2019 to August 19, 2019. No refund after August 19, 2019; however, 50% of tuition paid may be applied toward tuition for another NWAS program within the next 12 months. Cancellation must be made in writing.